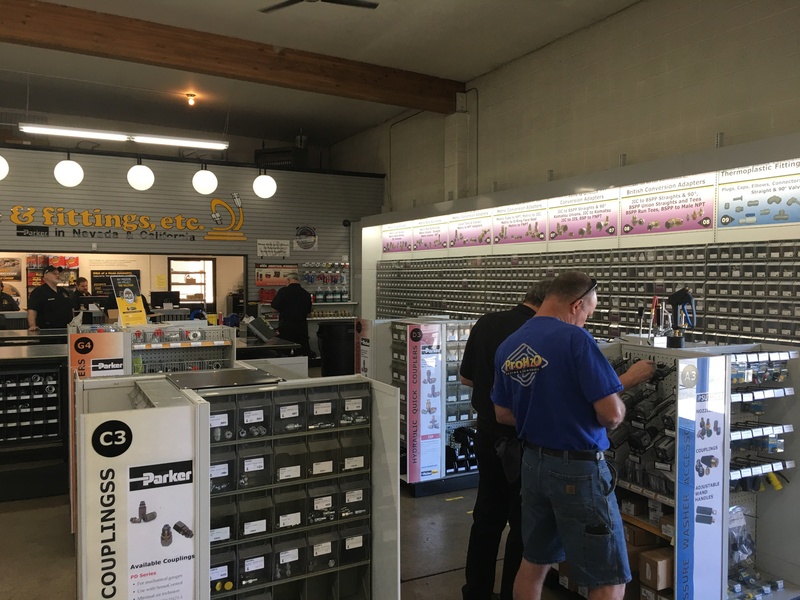 Hose & Fittings, Etc's Parker Stores are your local one stop shops for all of your hydraulic and pneumatic hoses, hose assemblies, tube assemblies, fittings, couplers, valves, cylinders and other components in Northern California and Nevada. As an independently owned ParkerStore operator, and premier distributor of quality Parker parts, Hose & Fittings, Etc. has been providing solutions for hydraulic and pneumatic challenges since 1978. Whether you need a hose assembly while you wait or emergency service, visit us today - we can help. 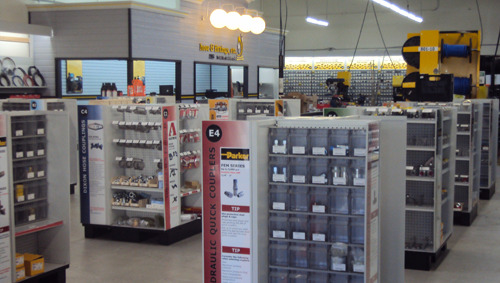 Each of our five ParkerStores, located in San Francisco Bay Area, Sacramento, Fresno and Reno/Sparks, stocks thousands of hydraulic and pneumatic parts and has full access to Parker’s inventory nationwide. In other words, we can get your part! Service is what defines Hose & Fittings. Etc. We know that your downtime costs you money. It is our goal to provide you with quality service by certified Parker experts who know your business, and who will get you up and running fast. 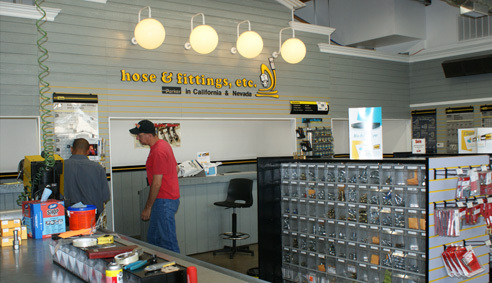 Hose & Fittings, Etc. is your local source, and one stop shop, for all of your hydraulic and pneumatic hoses, hose assemblies, tube assemblies, fittings, couplers, valves, cylinders and other components. We welcome your walk-in business! No order too small! Hose & Fittings, Etc. utilizes hose assembly fabrication equipment in all its ParkerStore locations (San Francisco Bay Area, Sacramento, Fresno and Reno area), providing a responsive source for small orders of custom hose assemblies. Read more about hose assembly fabrication while you wait in our stores. 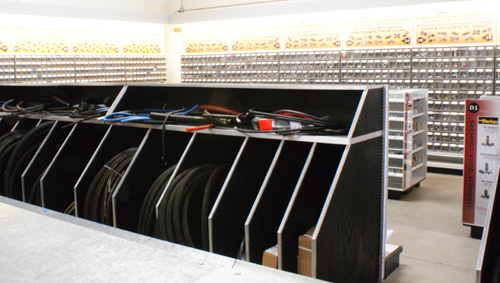 Our in-store tube bending capabilities allow us to cater to walk-in business and single custom tube assembly orders. Hose & Fittings, Etc. utilizes metal tube bending equipment in all its ParkerStore locations, providing a responsive source for small orders of metal tube assemblies. We fabricate steel and stainless steel tube assemblies from 3/16" to 1” in diameter at astonishingly low prices. We can duplicate your tube assembly or make you a custom tube assembly from your sketch or drawing – usually the same day! Monday-Friday, 7:00 a.m. - 5:00 p.m.
Click on the store page links below for hours, directions, service and additional products available at each store. 1 Subject to order quantities and parts availability. 2 Up to 1" in diameter; larger tube assemblies will be made in our production facility. Hose & Fittings, Etc. now stocks BVA hydraulic products in all of its Northern California and Nevada locations. Individual stores carry additional product lines. Scan a QR Code for any of our locations to get our contact information on your mobile device instantly. What is a QR Code? It is a unique code designed for cell phones. Use the QR Code reader on your mobile device to take a picture of the code and your device will point you to our Google Place page. Google Pages enable visitors to see location maps, get directions, see instant information about a business and more. Click for more Information on QR Codes and codes for all our locations.